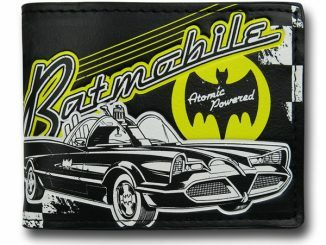 This Batman Big Caped Crusader Bi-Fold Wallet really makes a statement with nice bold colors and a retro style. 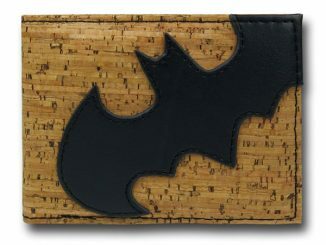 Carry this in your utility belt while out and about in Gotham. 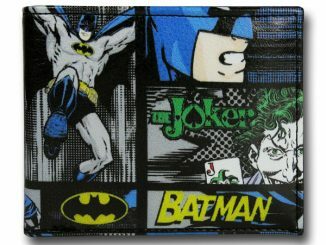 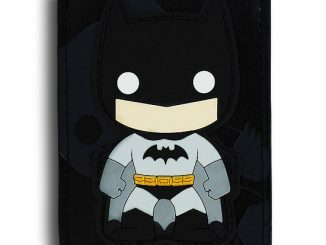 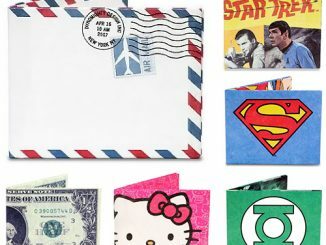 This stylish wallet measures 4.5 inches wide and 3.5 inches high and shows the Caped Crusader in full color. 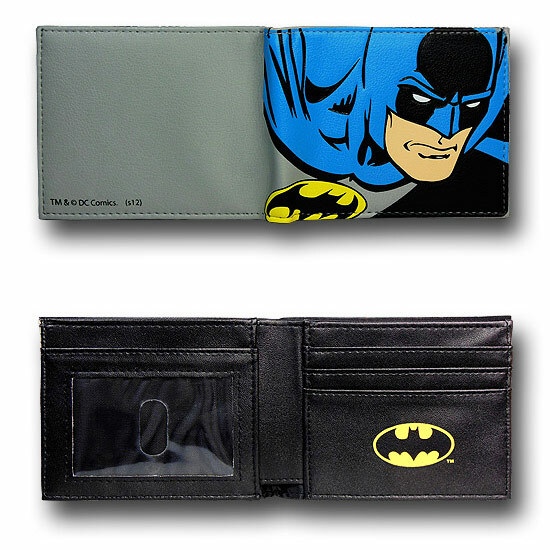 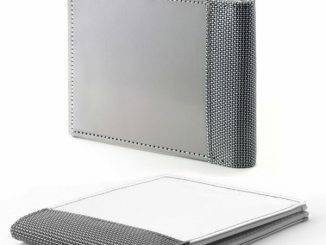 This 100% polyurethane wallet features a see through slot for IDs and several inner sleeves for different cards. 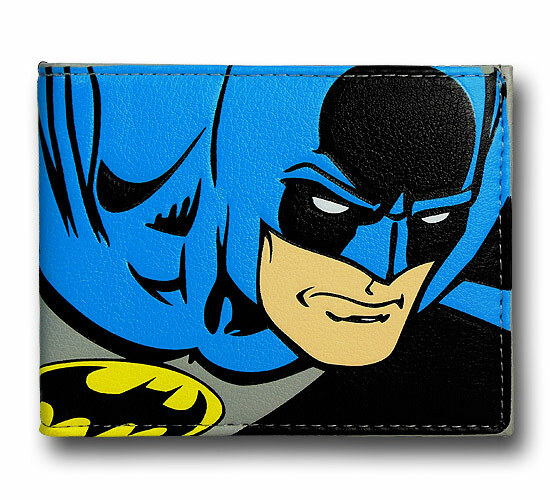 It makes a great gift for any Batman fan that needs a new wallet. 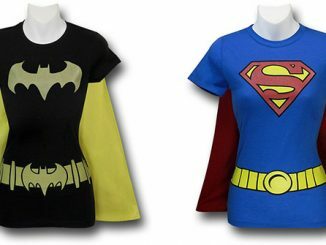 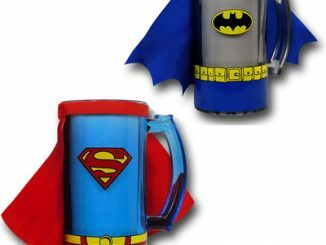 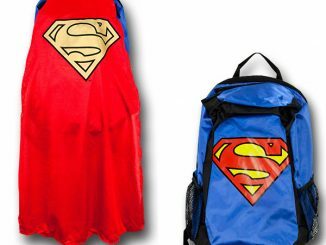 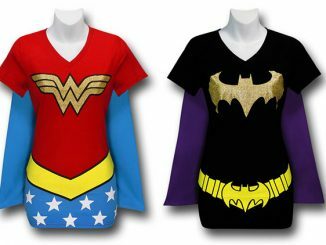 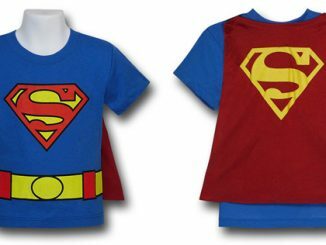 Find it at Superherostuff.com for just $19.99. 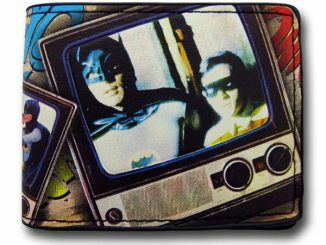 This might be the best Batman wallet ever.